“Police believe the CPL holder’s actions may have helped reduce the number of fatalities,” the station reported. According to WJBK, two carloads of men were parked side-by-side at the station when a pair of gunmen “emerged from a nearby field on foot” and allegedly opened fire. It was their bad luck that one of the men in the two cars was legally licensed to carry and he returned fire, fatally wounding one of the attackers. The second suspect got away and police were searching for him, according to WXYZ News. This is hardly the first time an armed citizen has acted in self-defense somewhere in the United States. According to the annual FBI Uniform Crime Report, armed citizens account for hundreds of bad guys taken down permanently in any given year. In 2016, the most recent year for which data is available, private citizens killed 331 criminals, and 276 of them used firearms. Of that number, 197 used handguns, 12 used rifles, 10 used shotguns and in 57 of those cases, the type of firearm was not identified. This tends to refute claims by anti-gunners that armed citizens don’t use guns in self-defense. Across the country, there are an estimated 16.5 million legally licensed citizens who may be packing a defensive sidearm on any given day. According to Michigan State Police data, as of Oct. 2, there were well over 600,000 citizens in the Great Lakes State who are licensed to carry. The same question could easily be asked in the wake of each incident like the one in Highland Park about concealed carry licensing. Presently, Congress is either preparing to consider, or sitting on, federal legislation that would establish national concealed carry reciprocity. Michigan has, for several years, recognized out-of-state carry permits and licenses. Many states have reciprocity agreements with other states, but there is no national law that protects legally-armed private citizens traveling from state to state. Anti-gunners have also long promoted the idea of “licensing” and “registration” of gun owners the same way we license drivers and register their cars. 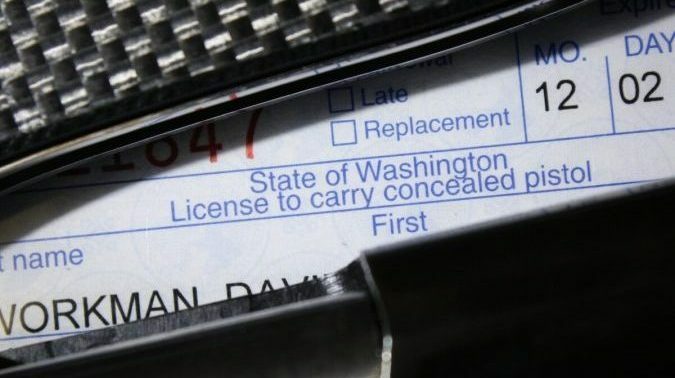 Lately, the gun control crowd hasn’t been that vocal since reciprocity activists have suggested that common sense would require that their proposal translates to national reciprocity. Suddenly, licensing and registration don’t make that much sense to anti-gunners after all. The motive behind the gas station shooting hasn’t been reported, nor has there been any word about possible criminal charges in that case, but based on published reports so far, it appears a legally-armed citizen was in the right place at the right time.